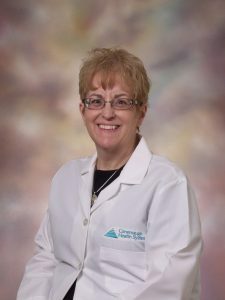 Dr. Kim Hanlon has been named Medical Director of Conemaugh Health System’s Corporate Care and Occupational Medicine. A Cambria County native, Dr. Hanlon is a graduate of Saint Francis University in Loretto and Penn State Hershey College of Medicine. She is board certified in emergency medicine and completed her emergency medicine residency training at Allegheny General Hospital in Pittsburgh. Dr. Hanlon comes to back to Johnstown after spending much of her career in the Pittsburgh region. Her most recent position was Medical Director of Occupational Medicine at Upper Allegheny Health System in Bradford, Pa. She is a Certified Medical Review Officer experienced in non-federal and federal drug and alcohol testing, and a Department of Transportation (DOT) medical examiner. Conemaugh Corporate Care, an occupational health provider, delivers a full scope of work-related care for employers in a multi-county region. Services include state-of-the-art diagnostic testing, rehabilitation services, and access to specialists for comprehensive care. Staff are trained to spot potential problem areas and work with employees to modify the environment to prevent injuries. On-site testing including vision, hearing, pulmonary function, drug and alcohol, OSHA surveillance, pre-placement exams, fitness for duty and ergonomic evaluations.